Why go “Do-It” and is it worth it? 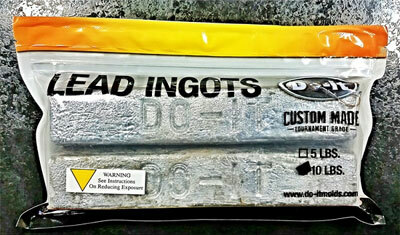 Does Do-it Molds sell lead? Here in my home state of Wisconsin, it was one of the hottest summers on record. These extended periods of heat effected some fisheries in a negative way and some in a positive way. One of the few fish that reacted favorably was the Bass. For the Bass fisherman, both largemouth and smallmouth, many would agree that it was a banner year. The warmer than normal lake temps statewide had both species about as active as I have ever seen them. Do-It Corporation has started selling lead do to increased demand of our customers who want a good source for high quality lead. 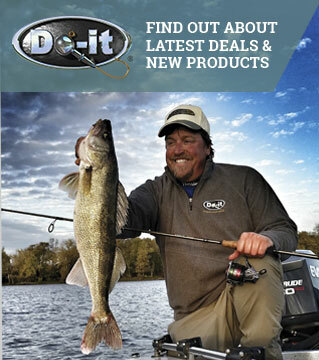 Do-It Molds have been an essential part of my fishing enjoyment and success for over 35 years. Yep, for over 3 and a half decades I’ve been using Do-It molds to give me a level of customized fishing tools that simply are not available "off the shelf"�. In this article, I want to share some of my favorite Do-It molds and the applications that I find most effective for my styles of fishing. Picture this: You've been stranded on an island in the middle of a large wilderness lake teeming with gamefish. There are no swimsuit models to keep you company. It's just you and your spinning rod. However, you get to choose one small box of tackle to take along. What's it gonna be? As most savvy anglers know, there are few things in fishing that are as reliable and effective for both numbers and quality of bass, and many other game fish, as a leadhead jig and some form of plastic trailer. And, as many of those same savvy anglers know, Yamamoto plastics lend themselves very effectively to this form of fishing. 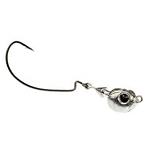 However, the real problem, in many cases, is not finding effective trailers for the leadheads, but rather finding quality leadheads with sharp, tournament grade hooks, in the style that is most effective for what you are fishing. 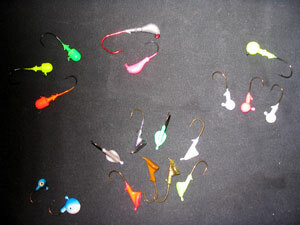 In my thirty years of pouring jigs, weights, and lures I have accumulated quite a few molds. Some I use quite often and some I only use from time to time. But there is one mold that I have used probably more than any other I own. I consider it the "McGiver" of tackle making tools. Without it I'd be like Batman without his gadget belt. it's beauty is it's versatility. Let me go through some of my favorite uses and I think you'll see why you shouldn't be without Do-It's SLIP-6-A mold if you love lure making. Jig it deep. Retrieve it slowly along the bottom. Bird dog open water with long casts and stop and go action. Or burn it over shallow weeds. Bass, walleyes, pike, stripers, even trout and salmon they catch nearly everything. Tail spinners have been around since the 1960's when Tom Mann introduced the now famous Little George sported a simple tear drop shape and is still available today in it's original shape. I can't even begin to tell you the entire history of the spinnerbait. I'm guessing that they have been around for fifty years or more. I know that they have been around during my thirty-two year angling career. Bass, Pike, Musky, and even Walleye will take them throughout the entire season. Down sized versions will even take Crappies and other panfish. Sometimes I don’t know if it’s a blessing or a curse. Tackle tinkering. It’s great to be able to make a lure that’s just a little different than what you can buy off the shelves. But at times, like when I’m waking up at night to jot down a lure idea, I think I may border on insane. What the heck, insane is fun! If you fish salt water or follow the salt water beat, you have probably heard of Butterfly Jigging. Right now it may be the hottest thing out there to take a variety of species of salt water game fish. Originating in Japan this technique involves a lure that looks very similar to a normal jigging spoon, but it acts very different. 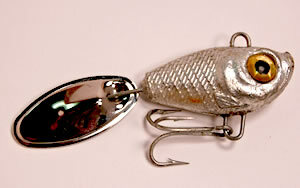 The jigs used in this technique are travel in a side to side manner very similar to a walk-the-dog surface bait. The float drifts lazily down the river bobbing through riffles and seams in the current. As quick as a blink of your eye, it’s gone. That split second rush of adrenaline when you realize that a fish has nabbed your offering is very addictive. 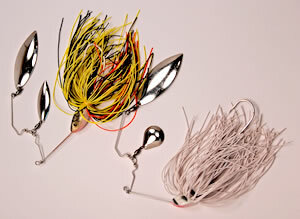 Jigging Spoons: Casting, Jigging, Trolling, They Catch Fish! Living on the shore of Lake Michigan my entire life, I’ve used spoons to catch trout and salmon almost as long as I’ve used a spoon to eat. It’s a year-round work horse for many species including walleyes, bass, trout, salmon, and even panfish. Thinking outside of the box has been the root of a lot of great innovations and ideas in history. And, a lot of great fishermen and fishing techniques have also excelled from looking beyond the obvious.